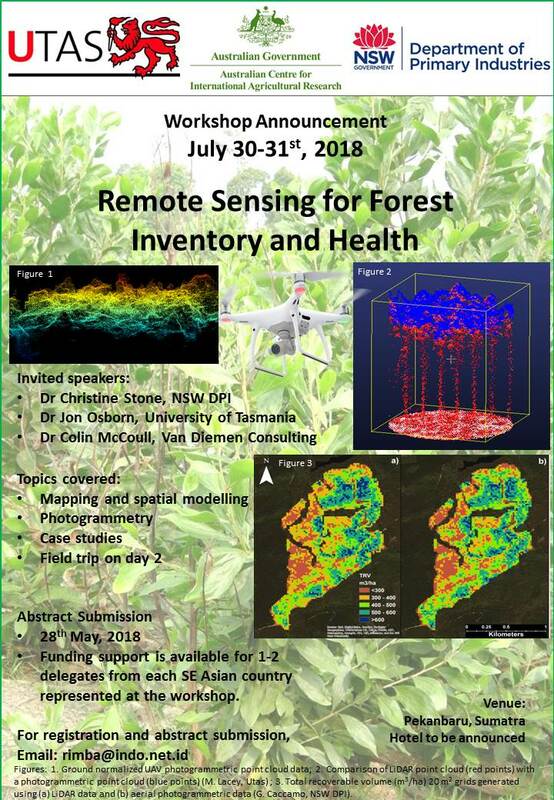 “Remote Sensing for Forest Inventory and Health”. The workshop will be held July 30-31, 2018 in Pekanbaru, Sumatra. Abstract submissions will be due by 28th May, 2018. Funding support for travel is available. This entry was posted in Events and tagged Workshops by Mariao. Bookmark the permalink.